The first official trailer for Lone Survivor, an action drama war film which is scheduled to make its premiere this coming December, has been released. And if you are wondering about the song/music that starts playing by the middle of the trailer, it's none other than the song Heroes by David Bowie. Written by Bowie and Brian Eno, the song was released on September 23, 1977. It's the first single as well as the title track for Bowie's twelfth studio album.Heroes remains as one of Bowie's greatest songs. 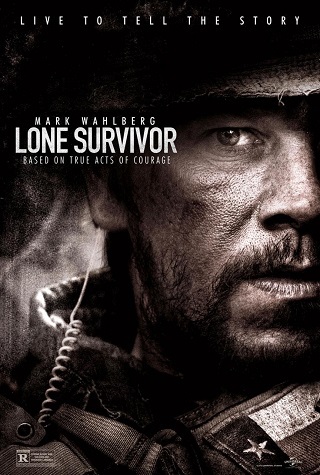 Directed by Peter Berg (Battleship, Prime Suspect, Hancock, The Rundown), Lone Survivor is a war film based on true events. It's based on a book written by Marcus Luttrell titled Lone Survivor: The Eyewitness Account of Operation Redwing and the Lost Heroes of SEAL Team 10. The book was published on June 12, 2007. Lone Survivor stars Mark Wahlberg, Taylor Kitsch, Eric Bana, Emile Hirsch, Ben Foster, Alexander Ludwig, Sammy Sheik, Scott Elrod, and Ali Suliman.